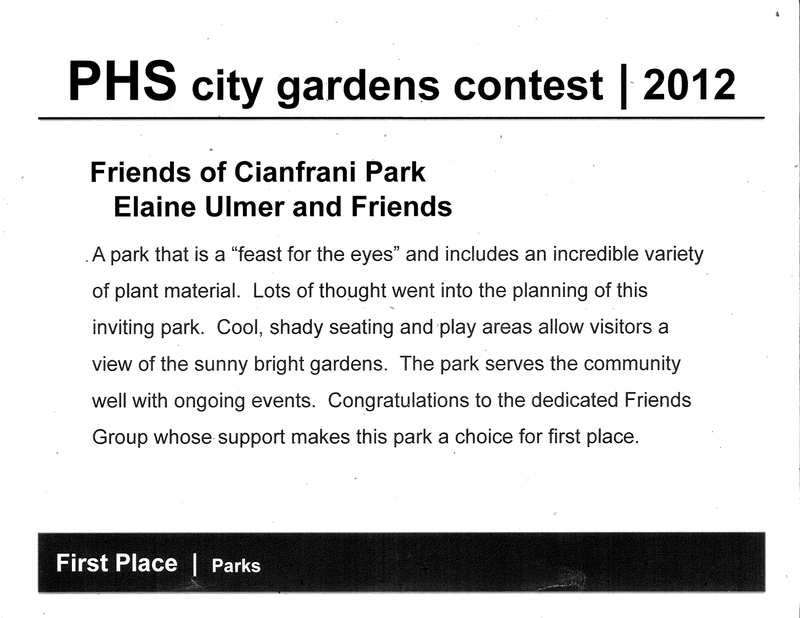 Cianfrani Park received First Prize in the Pennsylvania Horticultural Society 2012 City Gardens Contest. Thanks to all of the awesome volunteers. Special thanks Karen Clancy and Chris DiSilvis for all their work on the gardens, and to Rosemary Capirchio, Joanne Hoffman, Lee Price, Jason Rubin, Rachel Thurston and Matt Varrato for keeping the gardens alive and watered this summer. Previous Previous post: June concert in July!